I believe that our stories deserve to be told rather than curated. I believe in honest imagery that empowers and heals as families pass through the different thresholds life holds for them. Birth photography is for every birth - the birth that goes perfectly according to plan and the birth that meets left turn after left turn. 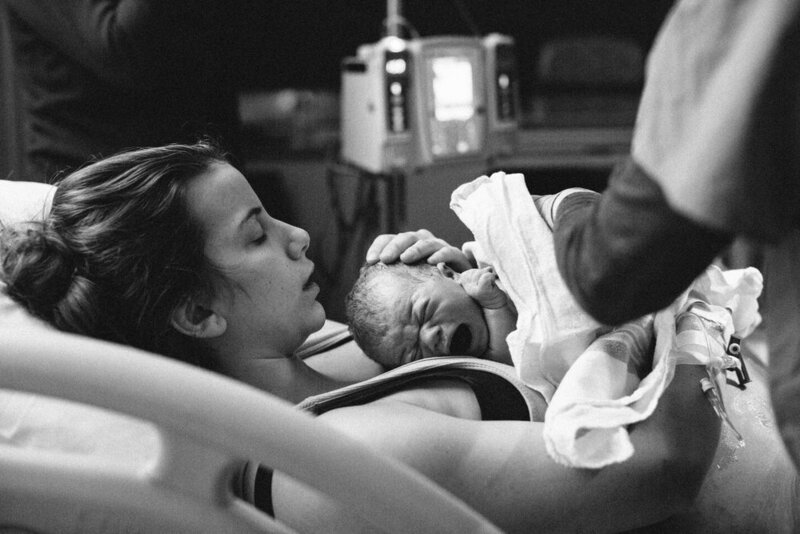 Birth photography helps us reclaim our birth stories as our own - our own to process, to mourn, to celebrate. Imagine this - an empathetic birth & postpartum doula to support you through your transition into parenthood - providing labor support as well as holding space for you and your baby’s needs in the postpartum. A witness - someone to help you process and preserve your story. An unobtrusive photographer there to capture the subtle and and the extraordinary of your pregnancy, birth, and postpartum. When so much about the first year of life is impossible to predict imagine having someone there to walk with you through it all - while capturing memories that will last a lifetime. As parents we need things to be streamlined, simplified, and automated as much as possible. Why not apply those concepts to photography? For one low monthly payment you can ensure that you always have the money and the time set aside to prioritize photographs every year. I AM PASSIONATE ABOUT THE MESSINESS OF LIFE. You would love a photographer who took joy in seeing your family grow year by year. You want to pass on your family’s story to the next generation. You recognize that life is messy, nuanced, and complicated. That perfection is an illusion. You don’t like the stress of forcing your children to smile or act a certain way for the camera. You love looking back on the candid photographs from your childhood. You don’t mind people seeing your dirty dishes or unswept floor. You see the value in normalizing birth and the messiness of parenting. You love the idea of sitting down with your son and telling him all about the day he was born while flipping through his well loved birth story. You recognize that the true beauty of family life is found in the simple everyday moments that are shared together.